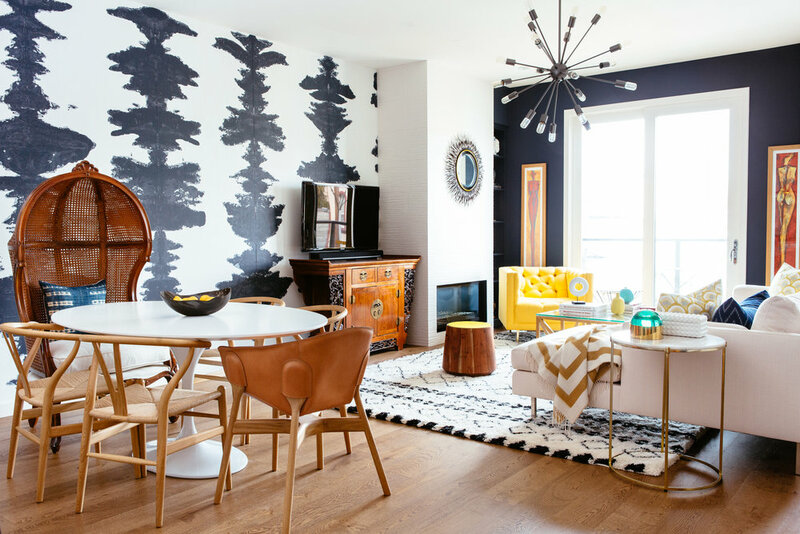 After years living abroad in several countries, this client – a true citizen of the world – put down roots in San Francisco, settling into a tall-ceiling'd townhouse in the Mission-Dolores neighborhood. 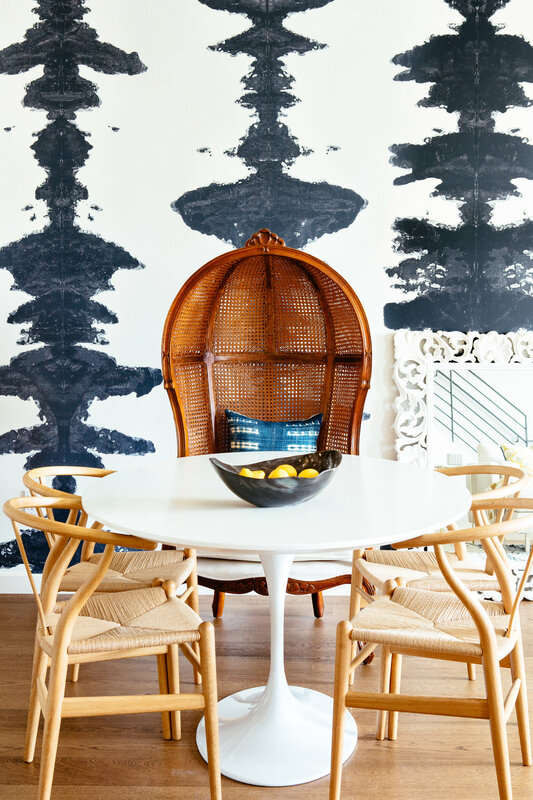 While the home had great floors and a smart layout, it was feeling a bit lifeless and austere on move-in, and was making the client's art collection and cherished hand-carved pieces feel out of place. We refaced the fireplace with a textured white tile, added dark navy walls, a hand-painted Porter Teleo wallpaper accent wall, and thoughtfully incorporated a few of the client's own furnishings into the overall design, to create a globally-minded, *glam-eclectic* space that feels luxe + layered but still grounded.